The German Constitutional Court ruling yesterday is a complex document and what looked at first sight like a blank check for the European Central Bank and its president Mario Draghi is actully no such thing on closer reading. Indeed, it will seriously hamper intervention in any future crisis. First, the court capped Germany’s European Stability Mechanism share at €190bn and ordered the government to ‘express clearly that it cannot be bound by the Treaty’ if that amount is exceeded. This prevents the ESM increasing Germany’s share if Spain and Italy come back for more money. Secondly, it ruled that both houses of the German parliament will have to vote on all European Union bailouts and it specifically prohibited any measures that might be used to get around this judgement. That makes eurobonds, debt pooling or fiscal union impossible. So no ESM rescue of Spain or Italy can go ahead without the German parliament voting on it and that support can hardly be guaranteed now as German public opinion is very much opposed to such bailouts. 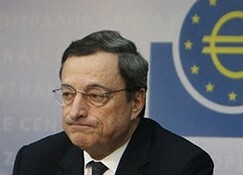 For the moment Spain is posturing and saying that it does not require a bailout. True but only because of the ECB’s actions so far that have lowered bond yields. They will now begin to creep up again as the market tests the resolve of the ECB that has explicitly stated it will not start ‘unlimited bond purchases’ until it has a request from Spain or Italy. That will mean the humiliating appointment of an EU-IMF team to supervize an austerity package. Germany’s constitutional court has once again showed the power of the Basic Law of the German republic and it has set the eurozone up for its next crisis, not the solving the current crisis. The growth prospects are looking up and are revised to suit all class of the people who are willing to put in every bit of their contribution as inflation is going down and jobs are getting created with the eurozone moving up again, read the full info here, with interest rate cuts and the balanced approach to manage the risk, the economy looked to grow on an upward trend, however any restriction on the powers of the ECB to take the crisis laden economy out would be a hindrance in the growth path, and would be a pain rather than a cure.